Is your data safe and protected, and fully accessible for fast and accurate recovery? Are you SURE? Better to find out now, before you need to recover data! Of all of the risks you take in business, gambling on the integrity of your data protection and data recovery plan is a risk we recommend you avoid. Too many of the businesses we serve fail to fully implement, test and enforce a strong data backup plan. Policies are usually inadequate. Backup technology and procedures are out of date and often untested, and should a real disaster occur they are hardly prepared. Power surge protection goes hand in hand with data protection! We specialize in all aspects of data protection, from best practices in both on-site and off-site automatic data storage to helping you adopt smart policies. We offer comprehensive services, including complete cloud storage and computing services. Let's have a conversation about your business, your digital asset protection, and how a customized solution can keep your business running! Too many businesses have an inadequate policy for preserving data in the event of a catastrophe. We are here to help you keep your business up and running and to fully recover should the need ever arise... but you need best practices in place so your data is recoverable. It starts with a strong policy, implemented, audited and maintained. 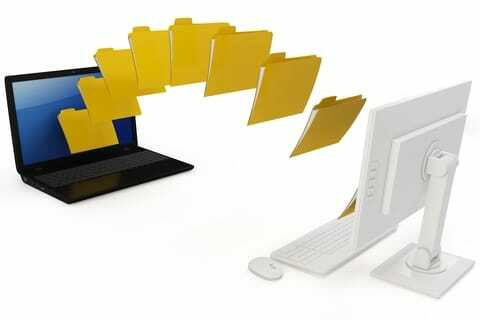 All information stored in electronic form is required to be backed up to keep it safe in the event of system failure, disasters, or attacks. This backup and recovery policy is designed to protect data in the organization to be sure it is not lost and can be recovered in the event of an equipment failure, intentional destruction of data, or disaster. Even the best crafted policies are only as good as the back up and recovery technology, or solutions, used to implement them. Every business is different. Every network is different. Every data protection policy and implementation is different and unique as well. All, or course, demanding a unique commercial-grade, business class solution that can be counted upon. Data backup solutions have been an integral part of the IT services we provide for our clients. Whether consulting and offering advice, to designing and implementing a best in class solution to meet your business requirements. Our technology partnerships with data protection market leaders such as Acronis, Barracuda, I/O Safe and many others enable us to customize a high integrity data protection system to ensure minimal disruption to your business. Let's have a conversation about your data backup and recovery (and about APC power protection) before a disaster strikes, please. Cloud storage technology is best separated into two broad categories; on-line data storage, and file sharing and synching of data for access from anywhere. Cloud solutions can deliver reliable back up as well as provide instant access to files from anywhere in the world, and a cloud strategy allows users a fast and easy way to share files. One of the biggest benefits to a small business owner especially is the ability to improve the business's overall IT capabilities for accessing and sharing information when on-site IT resources are limited. Our IT experts implement and help manage cloud solutions for many of our clients. CTS Services, Inc. is a Microsoft Cloud partner and we are well versed in the myriad cloud services offered to small businesses. There is a lot to consider; costs, ease of use, cloud performance, and more. Let us help you navigate your way to a successful cloud storage and/or file sharing implementation.